Old Friends grew out of a collector's impulse. The desire to acquire brought with it a deepening understanding of the various aspects of silver, from makers, to styles, to the influence of fashion on design. It soon became apparent that trading could be a means of both funding and enhancing the collection. The inventory includes serving pieces, place pieces, and holloware from prominent American makers including Gorham, Durgin, Reed and Barton, Wallace, Alvin, and others. 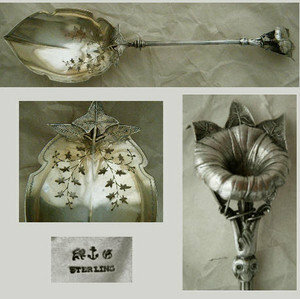 There is also a representation from lesser known or predecessor firms such as Wood and Hughes, Wendt, Knowles, Albert Coles and their mid 19th century contemporaries, as well as occasional offerings of British and Continental silver. 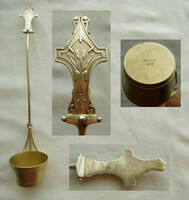 The coin silver offerings include flatware as well as mugs, master salts, bowls, mustard pots, and pitchers.